Urban trees provide cooling and shade, make neighborhoods and parks more walkable, and ultimately help protect humans from obesity, heart disease, depression, and other issues. Photo by the International Society of Arboriculture, courtesy of Bugwood.org. Jennings, a biological scientist at the SRS unit Integrating Human and Natural Systems, is lead author of a review article that evaluates the influence of green spaces on public health. The article was recently published in the International Journal of Environmental Research and Public Health. Jennings and coauthor Cassandra Johnson Gaither focused on the link between green spaces and health disparities, which are often correlated with race or ethnicity, and income. Groups that are economically or socially disadvantaged tend to have poorer health outcomes, and while there are probably multiple causes of such disparities, the lack of access to urban green spaces may be a key reason. Several researchers have found that green spaces in the urban core of many American cities – areas often inhabited by minorities and people with low incomes – are rare or poorly maintained. 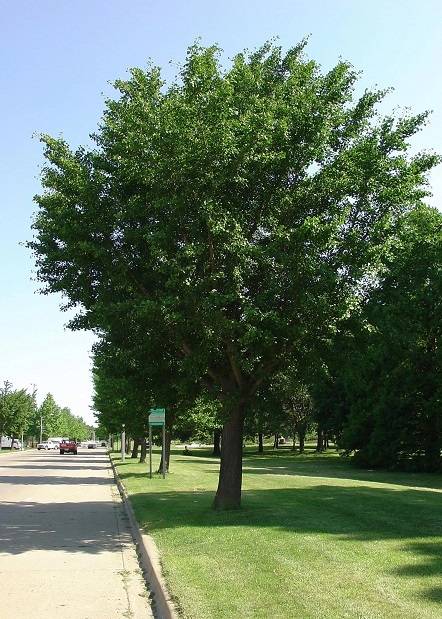 For example, trees can alleviate summer heat and reduce temperatures by providing shade. This is particularly important for city dwellers, as they are vulnerable to the urban heat island effect. This effect could be exacerbated by climate change. Extreme heat causes a number of preventable deaths, especially in minority and low-income communities. A neighborhood with trees and parks is also a more walkable neighborhood, with implications for heart disease and obesity. Living within a half mile of a park or some other green space seems to help reduce obesity rates and the presence of parks and green spaces can also lower blood pressure and reduce the risk of heart disease. Heart disease is a leading cause of death in the United States and rates differ among racial/ethnic minorities.